When it comes to dogs, they are pretty intelligent. But not all are as smart as others. 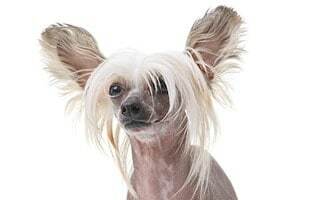 What are the dumbest dog breeds and which dogs won’t be bringing you back the morning newspaper or making your house guests oooh and aaah at their crafty tricks? According to research the following breeds show less intellectual promise than most other dogs. 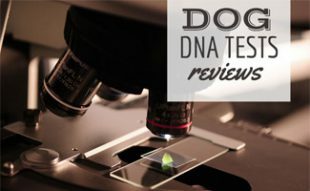 Intelligence for these breeds was determined by Canadian and U.S. kennel club judges and the amount of time it took a dog breed to master a new command. Of course, we’ve found that that can make these dogs just that much more lovable. Most people who are familiar with the silky coated Afghan hound will readily admit that they can be one of the most neurotic breeds. 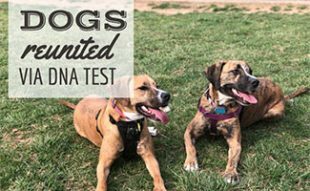 The independent nature of these dogs makes them extremely difficult to train; however, they are also affectionate dogs that love to be included in the family pack. Afghans’ are sensitive dogs which can add to the difficulty level of training them when combined with the high levels of independence. The lovable face, droopy ears and bloodshot eyes make this dog an endearing character to most people, but unfortunately this breed is not one of the most intelligent. The basset has an amazing sense of smell and when trained well they can put that nose to the grindstone, but it’s the amount of work it takes to get the dog to that point that fails it. Basset hounds are notoriously difficult to train and housebreaking them can be a bear but where they fail in speed learning, they excel in companionship. Bassets make great family dogs but need owners that can stand by them through a rather large learning curve. The beagle often draws people in with its long floppy ears and its cute rounded snout, but if you are looking for an easy to train dog, the beagle is not for you. This tri-colored breed is a loveable but willful dog and it is this hardheadedness that earns this breed a spot on the “least intelligent” list. Ironically however, the beagle is a particularly intelligent and driven working breed but it is their bullheadedness that earns them a “difficult to train” label. This breed requires a patient owner and early socialization but makes a great family dog when it receives consistent training. Many people see the mastiff as a “dumb ox” and unfortunately (like the beagle) their hardheaded and independent nature often gets them labeled as unintelligent dogs. Mastiffs have the intelligence; however, their reluctance to listen to anyone they do not deem a firm and competent leader earns them the label of “unintelligent.” If this giant breed receives positive reinforcement training from a strong leader, and is trained in shorter class periods, they are less likely to be labeled as “dumb.” This is an excellent family dog but one that requires constant training to keep it a manageable and socially acceptable dog because of its size. Ask most dog trainers and they will tell you that Pekingese are one of the most difficult dog breeds to train – ironically, most will agree that mastiffs are easier to train! Pekingese are independent dogs that have an air of authority about them that they often get away with because of their small stature. As these smaller dogs are babied however, their dominating nature continues to grow. These small dogs tend to be affectionate with their “master” but find small children and other animals to be a nuisance. This dog should always receive constant socialization in order to avoid nipping. The Bloodhound is an incredibly talented scent hound which is why they are most often used by search and rescue teams or professional trackers. Unfortunately for this hard working breed, bloodhounds are not considered the smartest of dogs. Bloodhounds make great family dogs and work well with children and the elderly but they require a firm leader. This breed can cause significant frustration for impatient trainers but with the right trainer the bloodhound is determined to succeed. The borzoi is not the most well known dog breed but is well known by those familiar with it for being extremely cat-like. This obsessively clean dog is an independent breed that resembles a cat not only for its cleaning habits but also for its lack of desire to please. Where most dogs are driven only to please their families, the borzoi is not as driven and forces its owner to work hard to train them. 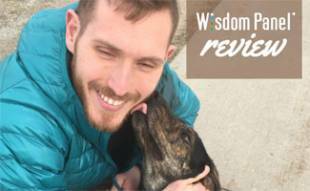 Once a dog owner has proven to this breed that they are capable of strong leadership, they are always rewarded with companionship and loyalty. The chow chow or the lion dog is yet another incredibly stubborn dog breed that finds its hardheaded nature placing it on the least intelligent dogs list. Chow chows are very dominant dogs and without a firm handed and devoted owner they are next to impossible to control. If allowed, this breed will take the place as head of the pack and while it will always provide healthy companionship, it should not be allowed to dominate. Bulldogs are strong and brave dogs in small packages; however, they are not known for their ability to “catch on” quickly. 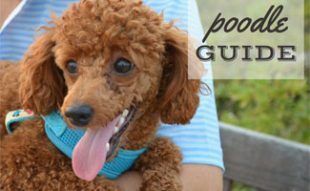 These short squat dogs are great guard dogs and amazing family dogs but require a dedicated owner who can work with them repeatedly to train them well. The bulldog is also known for its need for human affection which can be overwhelming for owners used to more independent breeds. Bulldogs require lifelong training like many of the breeds on this list. The basenji is another seldom seen dog breed in the United States that is dedicated to living a feline-like lifestyle. This breed is known for seldom barking or for barking in a manner that sounds like human “laughter.” This independent dog is very active and needs a strong owner who is patient and can work with them over time to train them. Basenjis must have proper socialization in order to develop in to healthy dogs. Looking for the pups that, unlike these lovable doofuses, will make you blink in wonderment as they open doors, answer questions with paw motions, and bring you the morning paper? Checkout our list of the smartest dog breeds for a comprehensive, in-depth list of the smartest dogs on the planet. My beagle pup is now 5 months old . You tell her to go to her crate and she knows where to go. She was house broken at 3 months old. You talk to her and she sits there and tips her head from side to side like she understands what we are saying. You mention her treat and she takes off to her crate. We give her a command and she does it. She is a character. We would love her the same even if she were dumb.She is way far from being dumb. Not much research gone into your categories…….where does the Boxer exist???? Has had many roles in security with police and military. I consider it poor judgement pertaining to a breed with the best of temperament and loyalty. Why is mastiff listed as if it is a breed? There are 20 or more different mastiff breeds. Simply saying mastiff and lumping them together is like lumping all shepherd dogs together. It doesn’t make sense. The AKC recognizes mastiff as a breed. You can read more about it by scrolling to the “History” section in the link. Why do I read here that Bloodhound is on the list of dumb dogs but they are also on the list for top 10 smartest? Bloodhounds are not on our list of smartest dog breeds. Why is the Coonhound not ever mentioned ? I have one and is extremely smart. I have a coonhound mix and agree that they are very smart! Not sure we’d want our adorable coonhounds mentioned in this article though since it’s for the “dumbest” breeds 😉 . Although I’d love my coonhound mix just as much if she was included in this article! You left out the two dumbest breeds. I agree with your list but it essentially started at 3. The first dumbest breed is unarguably the Chiwawa. I’ve known a dozen and none of them could follow any orders or become house trained. The second one is a pug, I had a pug that made my English mastiff look like an Australian Shepherd intelligence wise by comparison. Otherwise great list! It was a good read. I would just like to tellyou you I’ve owned 4 Beagles and not one of them were dumb by any standards,the one I have now rings a bell to go out to the potty, because she doesn’t bark,more less she makes no noise at all, she will stay in her own yard if she wanders out we just say back in your yard and she back in her boundaries, she knows what and where her treats are for which job (pee-poo) she did out side, she goes out by her self and comes in we just leave the door open when we leave her out. (So No BEAGELS Are NOT DUMB). My ex room mate and I adopted a rescue female Pekingese in 2008, she must have been abused by a male owner. She never took a shine to us, trying to pet her was often a struggle, she was never a lap dog. We loved her though, she would bite us sometimes, but she was so pretty. She passed at age 13 in 2015. You said Pekingese are dumb. Not hardly! Mine all you had to do was make eye contact and he knew what to do. Teresa, glad to hear your Pekingese is so well trained, you must be a great dog mom! I also have a Pekingnese male & he is as smart as a whip He learns a new command everyday He is a snobby little Prince but loves to cuddle and play. Overall, a pleasant dog just requires me to be very firm with him, a challenge I have grown to love. Beagles are actually really smart dogs that are loyal to there owners they are easy to train because they are used to hunt! So your incorrect! All animals are smart. All. Well they learn to survive, so everything has it’s purpose.